Catalogue > Cities: maps and sights of cities and villages > 5. Utrecht > WIJK BIJ DUURSTEDE. 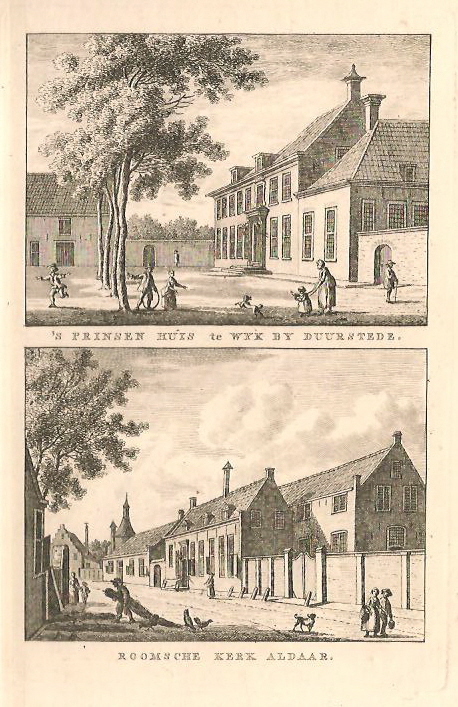 Prinsenhuis en Roomse Kerk. 'S PRINSEN HUIS te WIJK BIJ DUURSTEDE / ROOMSCHE KERK ALDAAR. Hoogte:16 cm. Breedte: 10,2 cm.